Commemorating the 63rd Anniversary of Human Rights Day, the Asian Human Rights Commission (AHRC) has released a comprehensive report, State of Human Rights in Asia 2013, covering Sri Lanka, India, Nepal, Bangladesh, Pakistan, Indonesia, the Philippines, and Hunger in Asia. The global theme for this year is 20 Years: Working for your rights. The theme marks the 20th year of the establishment of the Office of the High Commissioner for Human Rights. 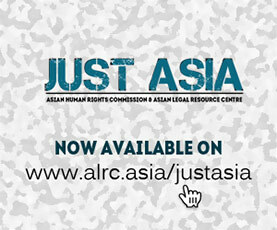 The AHRC report has analysed the functioning of justice institutions in Asia. While in some states the functioning of these institutions contribute to the negation of rights, in others, it is the non-functioning of the justice apparatus that hampers the rule of law. Of particular emphasis in the report is the widespread use of torture, a phenomenon that the AHRC has documented sans jurisdictions. The report asks why, in countries like Sri Lanka, and the Philippines where torture is criminalised, it is in practice. The report concludes that it is not just adequate legislation that prevents torture; proper enforcement of the rule of law is needed to end torture and impunity. Central to the establishment of the rule of law in Asia is police reform. Democracy is only possible where justice institutions are conceived, created, and nurtured to prevent arbitrary abuse of power. In Asia what exists today are authoritarian states that, in the garb of democracy, promote impunity and nepotism. In countries like Bangladesh, India, Pakistan, Philippines, and Sri Lanka owing to entrenched corruption and impunity in governance, realising normative rights guarantees has remained elusive. This makes democracy a façade. The global convergence against extremism has worked as a catalyst in Pakistan and Bangladesh to further state impunity. The ensuing repercussions have increased disrespect for the rule of law. For orders and enquiries: Email books@ahrchk.net or call +(852) 2698 6339.